Italian Cream Cake - 9" Round with 4 layers. 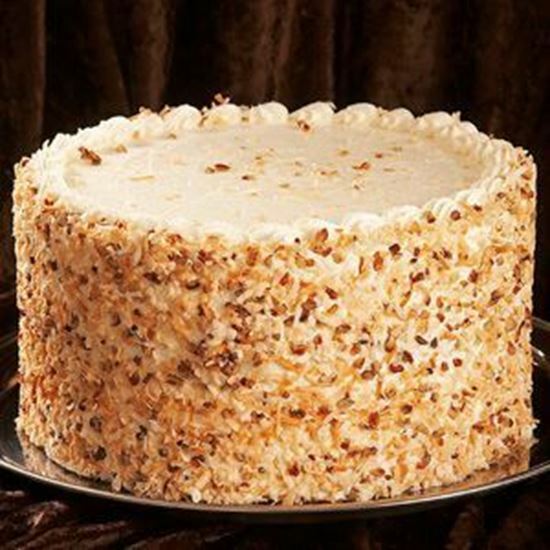 A Yellow buttery cake with coconut and pecans baked in; filled and iced with cream cheese icing. Garnished with toasted coconut and chopped pecans. Serves 12 -18 slices.